Alexander Gruzdev: The Wrangel Island Reserve is a unique place! 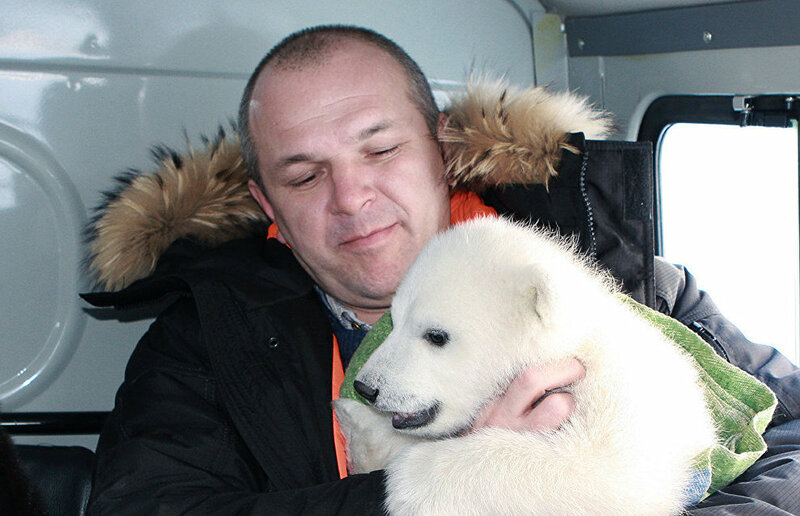 The Wrangel Island Reserve features the last habitat of mammoth, an Eskimo camp and polar bear “nurseries.” Alexander Gruzdev, Director of the Wrangel Island Reserve, discusses its natural specifics, research projects and tourist potential. What territories does the Wrangel Island Reserve include? The Wrangel Island Reserve includes two islands, Wrangel Island itself and the small Herald Island, 12-mile water sectors around each island and a 24-mile protective zone outside these 12-mile sectors. What's so interesting about your reserve? What plants and animals live here? First of all, Eurasia's only and last snow goose colony is located here. Another highlight is the polar bear "nurseries"; moreover, the reserve boasts the densest lairs of the Chukotka-Alaska bear population. Two lemming species, including the Vinogradov/Amur lemming (Lemmus amurensis) which is endemic to the island, live here. Hoofed animals that lived on the island later became extinct and later were re-brought here again from mainland Russia in the 1940s and 1970s: they are represented by reindeer and muskoxen. Local predators include wolves, wolverines and Arctic foxes. The densest snowy owl nesting areas have been sighted on Wrangel Island. The reserve also has one of the largest sea bird colonies in western Chukotka. Although 169 bird species have been described on the island, not all of them nest here. Sometimes, various birds, including such unique ones as hummingbirds and yellow-rumped (myrtle) warblers, are blown off course and reach the island. This does not necessarily mean that they nest here. Wrangel Island is known as the last habitat of mammoths. According to paleontologists, dwarf mammoths started evolving on this island and coexisted here with larger mammoths. According to radio-carbon dating, mammoths roamed the island about 3,000 years ago when Egyptian pyramids already towered above the Nile River. Are they searching for prehistoric animals here today? Paleontological projects are being carried out; expeditions come here from time to time and conduct research. They collect artifacts and later analyze them at research institutes. What plants are endemic to this region? The Wrangel Island Reserve is rather unique because not a single other high-latitude territory boasts as many vascular plants as have been described here. Over 400 plant species have been recorded on Wrangel Island, including 20 endemic plant species, and two species are listed in the IUCN Red List. Famous Soviet botanist Boris Yurtsev who studied the island found some plant communities, including ancient tundra-steppes. What research do your experts conduct? Each year, we conduct traditional research at the reserve. Since 1969, we have been monitoring the local snow goose colony in line with our oldest project. This research has continued unabated for years on end, although different and new researchers come here. We implement this project together with the United States, where snow geese winter. Each year, we tag snow geese at the reserve in order to regulate the number of birds being hunted at wintering sites and to minimize impact on our own snow goose population. This territory is closed to hunters as soon as the first tagged birds from Wrangel Island are killed. Of course, we monitor the polar bear population because this is one of the main protected animal species. Quite recently, I attended a meeting on Russia-US cooperation; there are plans to monitor this population over the next three years. Naturally, we monitor the hoofed animal population. The situation with muskoxen is good. The reindeer population has decreased considerably, due to natural processes. In effect, these model territories make it possible to assess past, current and future developments elsewhere in similar conditions and in changing animal habitats. There are plans to conduct botanical research next year. This research was suspended for some time because we did not have any experts and because it's very hard and expensive to reach the island. Nevertheless, we hope that botanical research will resume next year. A geo-botanical map of the island was published last year. The map is the result of a 20-year project implemented by our colleague on Wrangel Island. We published this research paper together with the Botanical Institute. We conduct sufficiently regular entomological research. A former employee, entomologist Olga Khrulyova, who holds a Ph.D. in Biology and now works in Moscow, comes here, assesses the biodiversity of the reserve's insect population and tracks various dynamic processes in this systematic group because this group is an indicator of global climate change. Her research made it possible to add almost 100 new species to the local insect kingdom (on Wrangel Island). To the best of my knowledge, this includes one previously unknown species. We have a small team, and it's hard to reach our reserve and to live here. But we are doing our best. It's hard to get here. And can tourists visit you? Yes, they come here. As a rule, cruise liners dock at the island. Several Arctic cruise companies operate ships carrying tourists from all over the world. We receive four to five tourist ships in August and early September when there is no sea ice here. Some ships traveling the Northern Sea Route dock here for a while. Still others stay here for about five days. We organize additional and highly popular guided tours for visitors who spend the night at the reserve and who cross almost the entire island in an all-terrain vehicle from north to south. They can see everything! 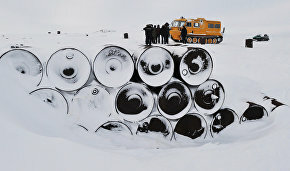 They can see an Arctic fox run by, a flying owl, an interesting landscape and geological site, a unique plant community, an archeological excavation site and so on. An ancient Eskimo camp which is over 3,000 years old has been found on the island. Aren't tourists afraid? We often hear about polar bears allegedly terrorizing scientists in the Arctic. Polar bears don't terrorize anyone here, this is their territory! Tourists move around only in the company of security guards and scientists and are therefore safe from polar bears. 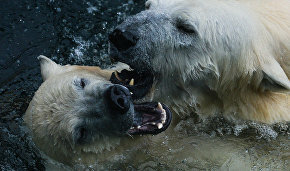 Of course, polar bears are large and fairly dangerous predators. But visiting the island is safe if people follow a preset code of conduct and safety protocol. The Wrangel Island Reserve is marking its 40th anniversary. Are you planning any events, including exhibitions and lectures, in this connection? We are planning to relocate to a larger building where an information center will be established. This will probably take place in the autumn. I hope this center will become quite popular with Chukotka residents and other people visiting Pevek. And it will be a wonderful gift to the reserve during its anniversary year. The information center's experts will increase public awareness of the reserve's activities and other projects. They will teach school students, organize lectures and show movies for Chukotka residents and tourists.